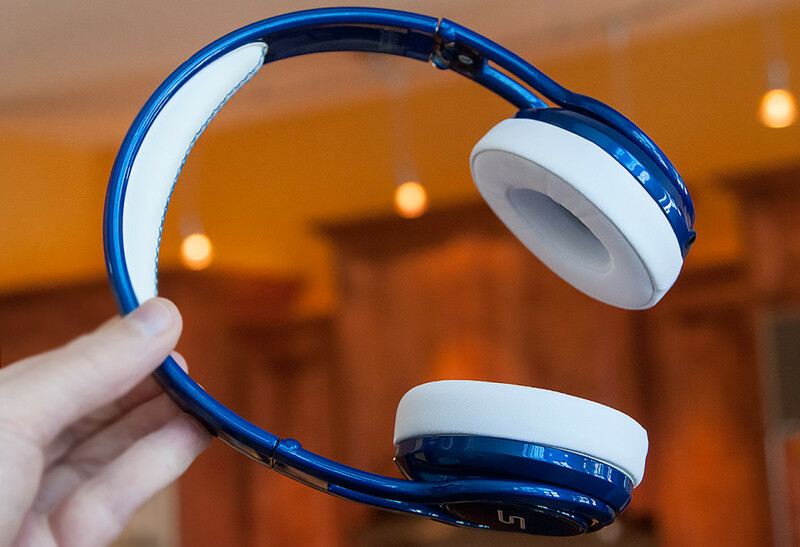 Looking for some hot headphones but don’t want to spend a boatload of money? 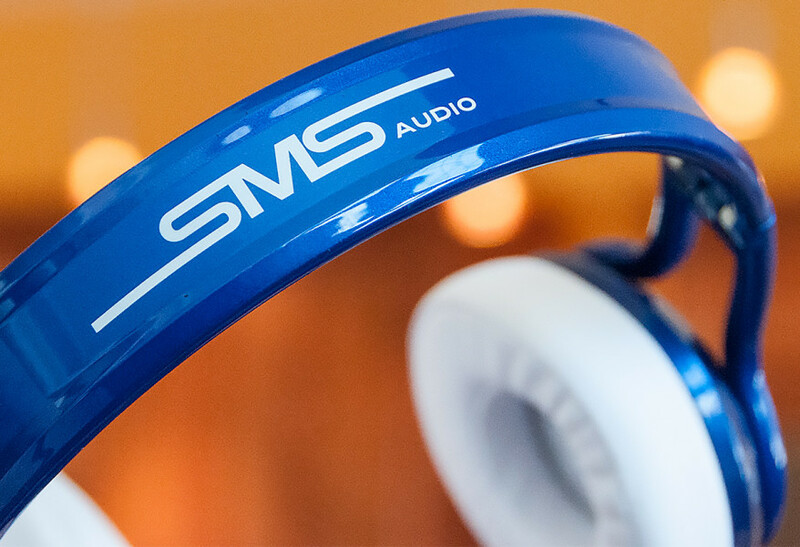 Now the benefits of $300 headphones have trickled down to less-expensive models like these SMS Audio Street by 50 Wired on-ear headphones I’m reviewing here. Let’s crank up a variety of music on these cans, and see what they can do. Rapper 50 Cent had a hand in the creation of these wired headphones, and while I was opening the package I thought of “Fiddy” making suggestions, perhaps insisting that all of the materials be constructed of the highest quality. 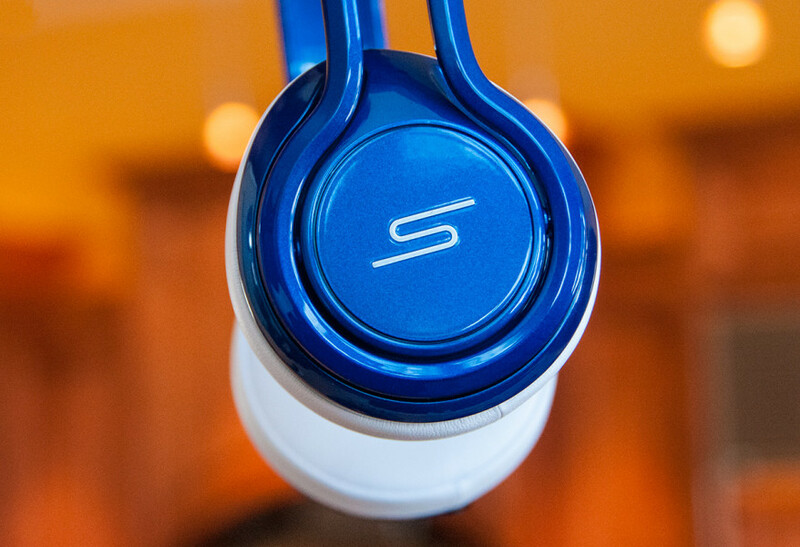 If 50 Cent actually did that, the manufacturers at SMS Audio were apparently happy to comply. 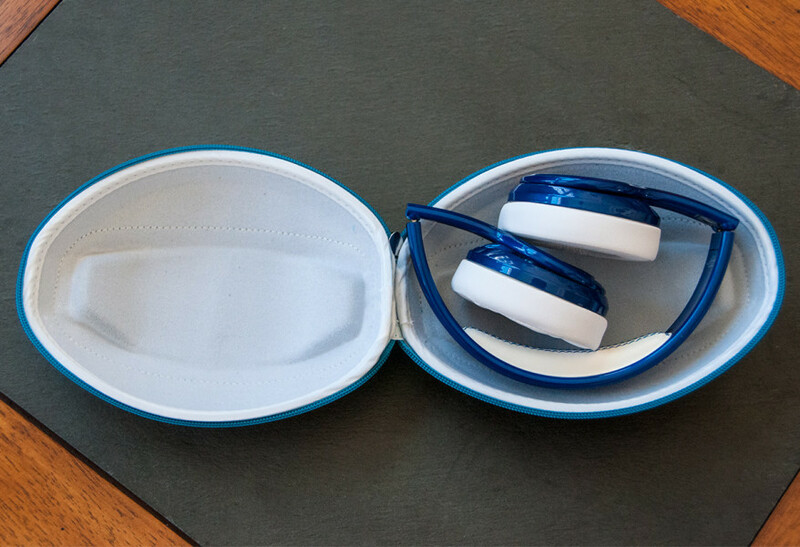 These sturdy foldable headphones are well-made, nestled in a color-coordinated rigid case that lets you zip the cans into an elegant oval-shaped package that’s easy to fit into a briefcase or carry-on. 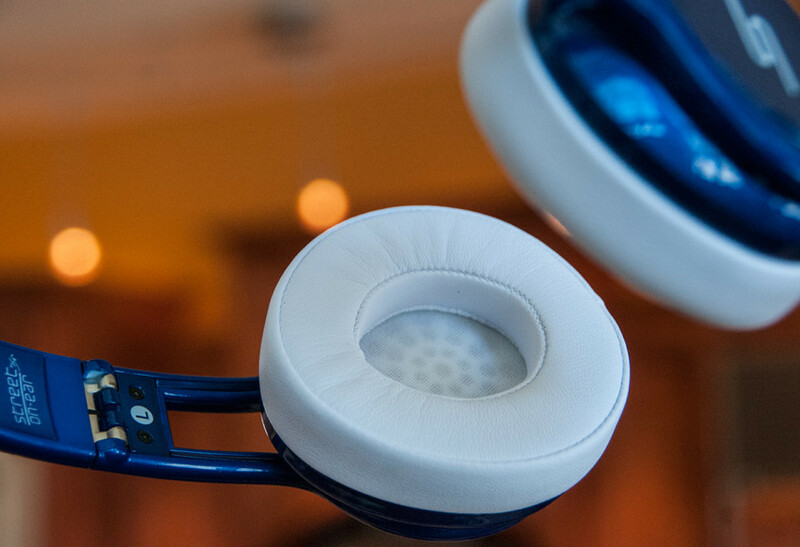 The thick ear pads and padded headband ensconce your noggin in serious comfort. 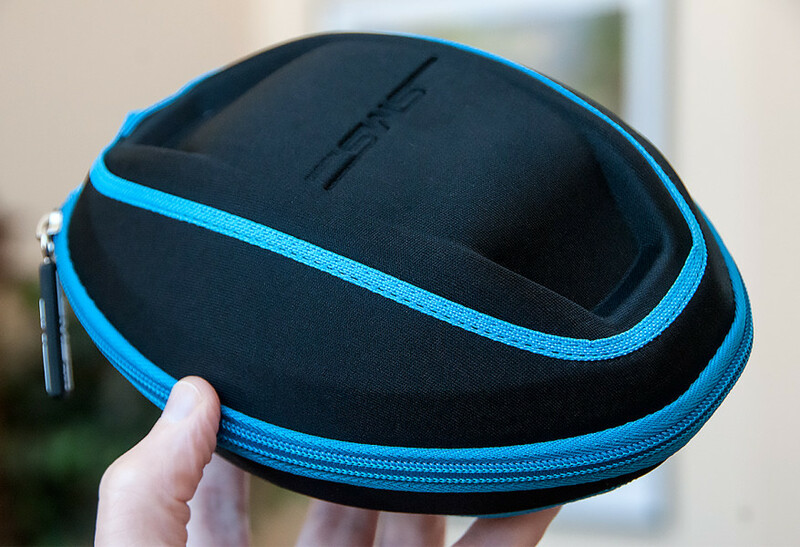 They’re slightly tight for my huge head, but that snug fit is important if you want to create a seal that makes expensive noise cancellation circuitry almost unnecessary. And there’s a heavy-duty cable with an onboard mic and switch (they both work beautifully with an iPhone) whose texture and build also exudes quality. 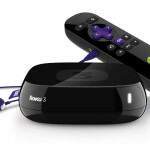 My overall impression was that of a product that cost much more than $179.95. If you don’t care for this blue color, suit yourself with your choice of lots of other colors such as Red, Magenta, White, Orange, Green and Teal. Appearances aside, I settled back to listen to these over-the-ear headphones, plugging into the audio jack of my computer and listening to some high-resolution and nearly lossless FLAC files. I cranked up the volume, and my first impression was, wow! The phones were dancing on my ears, rocking my lobes with every bit as much power and resolution as those $269.95 Beats Studio HD headphones so many people love to loathe. Yes, these babies are loud. They’re so efficient, when you turn it up to 11, they’re approaching earsplitting volume. 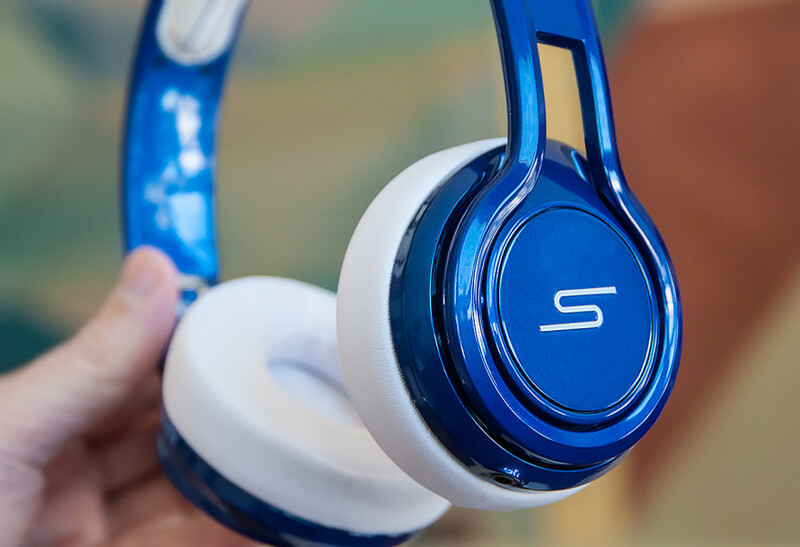 And the sound is clean even at those high levels, giving you a presence that is almost unheard of in headphones at this price. And the bass — jeez, the bass. It became immediately apparent to me that bass was a major consideration in the design of this product. These phones deliver. The bass response is powerful, but not quite as clean as I would like at high volume levels, getting into a bit of mild boominess as the volume increases. 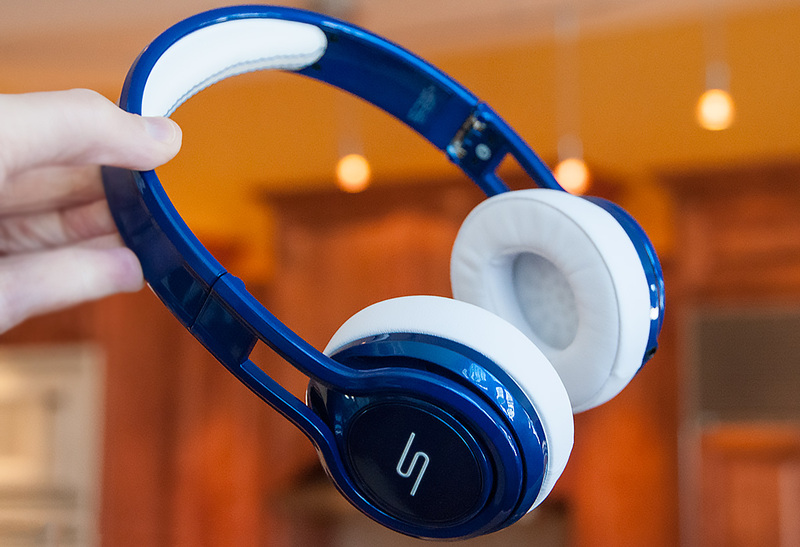 But the fortunate part of the headphones’ strong bass is the way they sound at low volume. 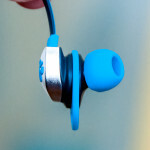 At that range, the bass is exceptionally clean, and its natural loudness balances out the sound. As the bass asserts its dominance, the midrange response offers realistic presence, reproducing voices and saxophones that sound like they’re standing right next to you. Acoustic guitars let you feel the rosewood whence that music emanates, and the crispy high-frequency response practically allows you to guess which brand of guitar pick the musician is using. 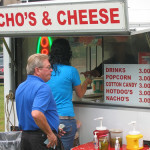 Overall it’s an exceptionally pleasant experience. 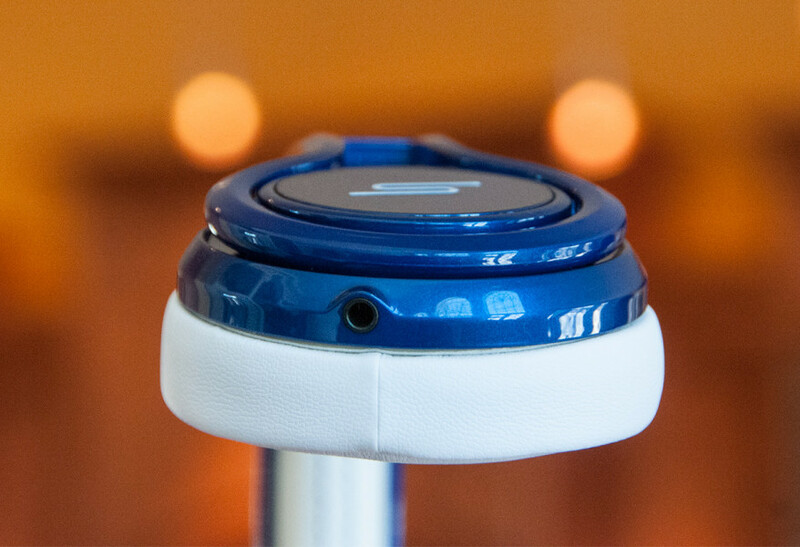 If you’re looking to step up from your iPhone earbuds or low-priced headphones, this is an excellent choice. 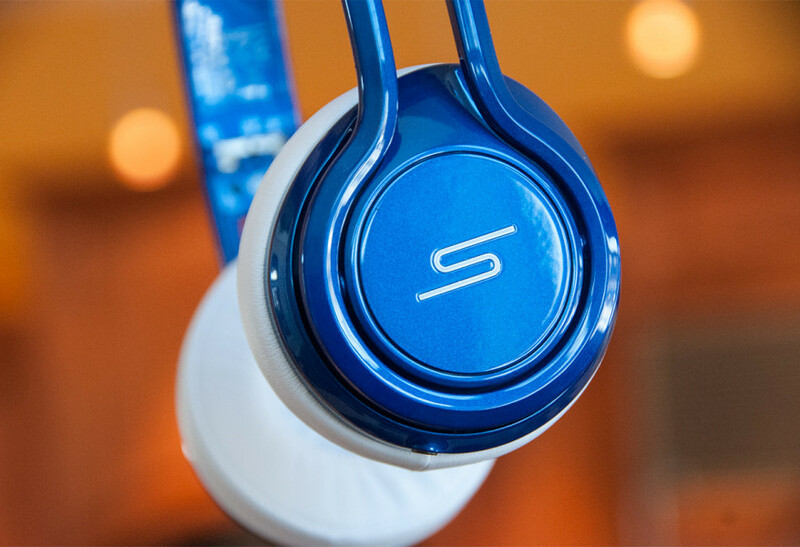 And that $179.95 price makes the SMS Audio Street by 50 wired on-ear headphones a tremendous value. Highly recommended. 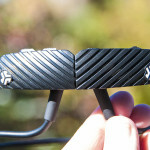 This entry was posted in Reviews and tagged Headphones, Reviews by Charlie White. Bookmark the permalink.